I am the proud father of two beautiful girls, both under the age of three. As an administrator in college Athletics & Recreation at a top tier university, the days are long, stress is high, and deadlines are always tight. When I transition into running summer camps, my days can get even longer, with 14 hour days often the norm for weeks on end. I oversee one of the oldest and most established summer sports camps in the entire Southeast. Celebrities, politicians, and many elite families trust their children with my talented staff. When I am in the midst of running summer camp, I struggle to find time for anything else. The responsibility of 175+ weekly campers and 30 full time staff members is a responsibility that I take seriously, especially as a parent of two young children. In our ever pursuing quest for excellence, I get so consumed with camp that I’ll often forget to eat, hydrate, and even use the restroom! At the end of the day, I am completely exhausted. My eyes hurt from emails and my head is spinning from the endless phone calls, reports, and lesson plans that need my approval. As I drive home, my worries from the day slowly melt away. I know that in 30 minutes or less, I will have the opportunity to spend some quality time with loving wife and two daughters. Shortly after we eat dinner, I prepare the water for bath time with my Aveeno Baby Wash & Shampoo at my side. We’ve tried other “sensitive skin” washes and shampoos over the last two years, but the strong perfumes hurt my daughter’s eyes and often irritated her sensitive skin. We’ve never had a problem with irritation while using Aveeno products. 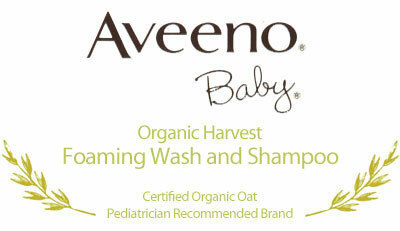 Did you know that Aveeno products have been pediatrician recommended for over 60 years? The proof is in the er…oat extract!? From a historical and health perspective, taking a bath is one of the best things you could do for a child. No other substance on Earth can match the healing properties and restorative powers of water. For untold generations, people have recognized water as a natural medicine, one that can ease the body and calm the spirit. When bath time also includes Aveeno Baby Wash & Shampoo (with natural oat extract), it provides the gentle cleansing, and fresh fragrance that helps to make bath time turn into bed time!